Career days are traditionally designed to enlighten students about what awaits them at college and in the world of work, generally in terms of opportunities. Occasionally, it produces the extra benefit of alerting students to unanticipated realities. “That safety net in high school is gone.” That was the answer given by Asya Meadows, SJHS Class of ’15, to the question, “What’s one of the differences between high school and college?” “You have to learn to do things on your own,” she added. The methods are more sophisticated than those used by Sherlock Holmes, but the skills are the same: observation, analysis, and deduction. 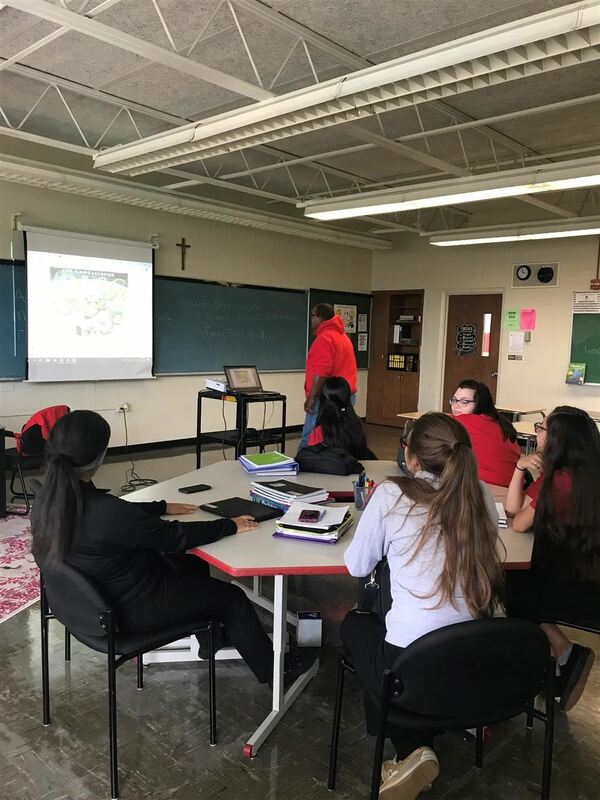 In Crime Scene Investigation, a year-long elective course at St. Joseph High School, students begin in the English classroom where they read and discuss crime fiction and non-fiction. They analyze crime from various perspectives and apply critical thinking to the social and moral dilemmas of all the people affected by crime. Five SJHS seniors are taking American History Since 1865, a course in which students fulfill their senior year social studies requirement at St. Joseph HS while also earning credit at Benedictine University. This three-hour credit is also transferable to another university of their choosing. The Chargers attend some classes at Benedictine University while their professor, Dr. Vincent Gaddis, travels to Westchester to provide instruction as well. The class also makes use of WebEx technology to collaborate. 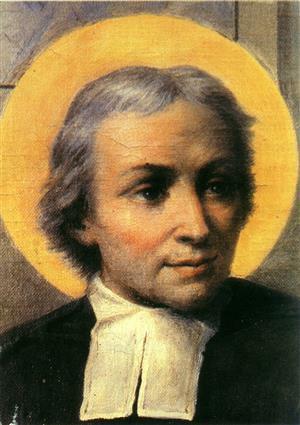 A relic of St. John Baptist de La Salle, the founder of the Institute of the Brothers of the Christian Schools and patron saint of teachers of youth, will be present at St. Joseph High School during the week of April 29th. Activities throughout the week will include an all-school reception of the relic, discussions and prayer services throughout the week and an invitation to the neighboring community to visit the relic on Monday, April 29th, from Noon to 6:00 p.m. Enter through the main door on Cermak Road and go left to visit the chapel. St. Joseph High School is proud to share in this opportunity to commemorate St. John Baptist de La Salle, on the 300th anniversary of his death. Any seniors who are still wanting to purchase a prom ticket must talk to Mrs. McGleam this week in the business office. All are invited and welcome to see our Chargers perform “Jesus Christ Superstar” at 7:00 p.m. this evening and tomorrow night. Tickets are $5 and will be sold at the door. Today we follow the Orange Schedule. Academic classes begin with Period 2.